Electrical malfunctions give diagnostic detective learning opportunities for repair possibilities - AutoInc. 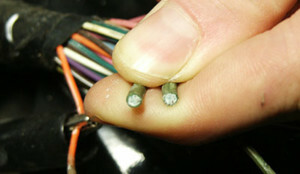 Figure 1: Yellow wire from BCM feeding three fuses. Early on in my youth, I began wondering why things didn’t work as intended: my bike’s chain derailleur, our lawn mower, mom and dad’s Rambler wagon. Decades later, I’ve not lost my desire to dive into diagnostic challenges, and I still have to discover exactly why something does not work as intended. Two recent electrical malfunctions gave me new opportunities to practice my sleuthing skills. A 2000 Cadillac Escalade was recently dropped at my door with the daunting “intermittent” concern. Power windows, radio and wipers would work for periods of time – sometimes for full days – and then fail, only to resume for no apparent reason. Now, I don’t know where your brain goes when you hear intermittent, but I begin thinking about all manner of electrical resistance, including pitted, dirty contacts in relays and switches, fretting corrosion in terminals and fractured wires inside seemingly satisfactory insulation. During the moments I was able to catch those accessory circuits inoperative, I found no power at three fuses in the instrument panel fuse block for power windows, radio and windshield wipers. At least I now had a clue to work with (Figure 1). 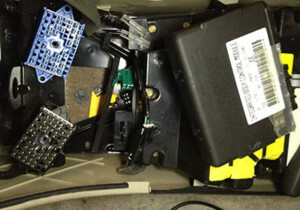 Figure 2: BCM under center console. Accessing repair service info had crowdsourcing that pointed to a highly probable suspect: the body control module (BCM). The problem at that moment was that the circuits returned to functioning. So I decided to gain access to the BCM to check its connector and try the old-school tap test. To my surprise, I was able to make the power to the three fuses come-and-go, so now I knew I had either a connector issue or a failing BCM. The connectors had acceptable drag when fitted with a spare male connector. So I took the module to my bench and popped the top. 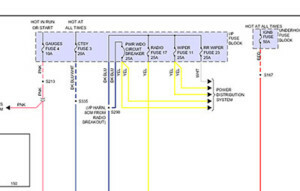 Figure 2 shows the location of the BCM with the connectors unplugged. 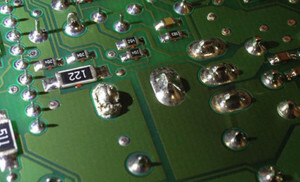 Figure 3 shows the fractured solder joint in the printed circuit board. Figure 3: Fractured solder joint in the printed circuit at 122. Then, the question of price came up when I discussed the repair with my customer. We found sources in the $300 range, and because the big SUV had more than 200,000 miles and was only used “once-in-a-while,” our customer just wanted us to reassemble it without replacing the BCM. It could have been simply a matter of the customer – armed with the diagnosis – sourcing his own part and installing it himself. Or, as I suspected, the customer was just short on cash and was contemplating parking the Caddy until he could raise the funds. I did something that just felt right at the time. I plugged in my soldering iron and re-melted the connection. The circuit functioned even under the rigors of a slightly aggressive tap test, and I explained to the customer, whom I’ve known for years, that there was no guarantee how long the repair would last. I simply felt better having him drive away with wipers that worked all the time, if only for a short time. What would you have done? This car came to us with a no-charge concern, which we verified quickly. We discovered that there was no power to the generator “L” terminal, even with our scan tool commanding the PCM to turn it “on,” and so the diagnosis ensued to find the lost B+. 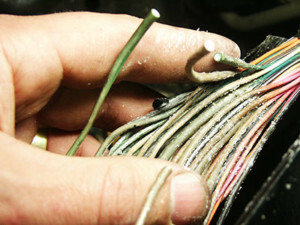 Figure 4: Suspect section of wiring harness. When we tested the “L” terminal right at the power control module (PCM), we discovered that there was a B+ signal emanating at all times. So we began searching for opportunities for a break in this wire, which snaked from inside the front of the engine compartment, along the inside of the right-side fender and then around the battery to the engine. Since the PCM lives in the engine compartment, there wasn’t a lot of length to trace down, but a huge bindle of harness was hiding our generator wire. In our search, we peeled-back the factory electrical wrapping around much of this bulky harness and discovered some discolored and “swollen” wires. Could this be the fault’s location? Figure 4 shows the unwrapped harness. Figure 5: Cross-section of corrosion-infused wiring. What apparently had happened was an excessive exposure to battery acid, which leaked into several of the harness wires and set the stage for corrosion to create an electrical roadblock. What have I learned about things that don’t operate as designed? Well, my arsenal of potential possibilities has grown with each challenging repair. And though it can be frustrating sometimes, I’ve learned that age and wisdom really do beat youth and exuberance.